Merchant, immigration agent, MLA (1900-1903). Born at Baden-Baden, Germany on 29 December 1830, son of George H. and Barbara Hespeler, he was educated at the Institute at Karlsruhe. At the age of 19, he arrived at Preston, Ontario where his elder brother had a milling, distilling, and general merchandising business. From 1854 to 1868 he was a partner in the firm of Hespeler and Randall at Waterloo, Ontario. While visiting Germany, he discovered that a large number of Mennonites in southern Russia were contemplating emigration to the USA. Hespeler forwarded this information to the Canadian government, which asked him to travel to Russia to induce the group to come to Manitoba. This resulted in 284 families of Mennonites settling in 1874, with further groups arriving in 1875 and 1876. In 1873, Hespeler became Commissioner of Immigration and Agriculture, which he filled until 1883. From 1883 to 1894, he was Manager of the Manitoba Land Company, then later a member of the board of the Royal Trust Company and the North of Scotland Mortgage Company. He is thought to have erected the first grain elevator in western Canada. In 1880, he organized Der Nordwesten, a German-language weekly, the first German newspaper in the Northwest. He was a member of the board for the Winnipeg General Hospital starting in 1874, and President of the same starting in 1884, resigning from the board in 1909. He served on the Winnipeg City Council in 1876 and 1878. In 1881, he served as Chief Commissioner of Census for the Province of Manitoba. He was German Consul for Manitoba and the North-West Territories from 1883 to 1909. 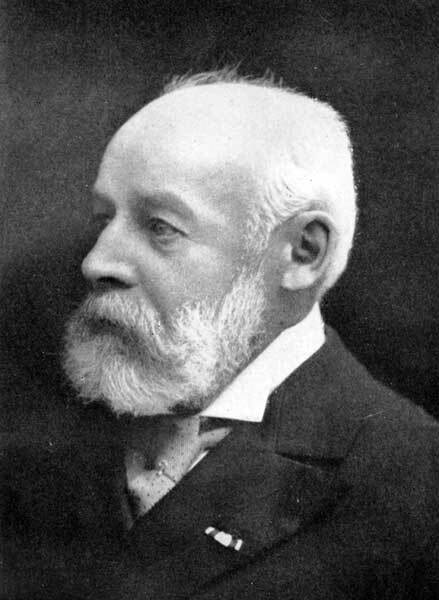 Defeated in the 1888 provincial general election, he was elected to the Provincial Legislature in 1899 and chosen Speaker of the House, the first foreign-born citizen to be so in the British Empire. He was married three times; first in 1855 to Mary Hope Keachie (?-?) of Galt, Ontario with whom he had two children: Alfred Amaeius Hespeler (1863-?) and Georgina Hope Hespeler (1864-1887, wife of Augustus M. Nanton). In 1874, he married Mary Meyer (?-?) of Seaforth, Ontario. Finally, in 1887, he married Catherine Robertson Keachie (1836-1920, older sister of his first wife). He died at Vancouver, British Columbia on 18 April 1921 and was buried in the St. John’s Cathedral Cemetery beside his third wife. His pallbearers were Hugh John Macdonald, Edward Brown, David Young, A. McTavish Campbell, William Pearce, and J. S. Hough. He is commemorated by Hespeler Avenue in Winnipeg. Obituary [Catherine R. Hespeler], Winnipeg Tribune, 10 June 1920, page 6. “Wm. Hespeler to live in west with his son,” Winnipeg Tribune, 25 June 1920, page 5. “Hon. William Hespeler dies in Vancouver at age of 92,” Winnipeg Tribune, 19 April 1921, page 6. “Hespeler rites are arranged,” Winnipeg Tribune, 20 April 1921, page 5. “Prominent Winnipeg citizens at funeral of Hon. W. Hespeler,” Winnipeg Tribune, 23 April 1921, page 2. We thank Mary DeGrow for providing additional information used here. This page was prepared by Gordon Goldsborough using, in part, information compiled by Harry Shave.